Entrepreneurs are risk-taking business people who initiate or finance new commercial enterprises (Encarta). It is not as if they are endowed with some high level of smartness or they have the ability to do something better than other people, rather, they have mastered the skill of not fearing anything that looks like opportunity. When others see failure, they see success, when others see disaster, they see enterprises, though they have reservations for type of opportunity, but they still wisely make decisions and seize opportunities without minding the cost. Risk-taking is an integral and intrinsic part of success or living a full life - Malcolm S. Forbes. Those who are going to be in business tomorrow are those who understand that the future, as always, belongs to the brave - William Bernbach. Opportunities abound where there are inefficiencies or problems. While employees at a workplace focus on the resources available, entrepreneurs mostly focus on opportunities. If a problem should arise in an organization, the employee is seen to struggle and navigate through such problem till it is solved while an entrepreneur sees such as an opportunity to solve and end and also create a product or service that can sell from it. To an entrepreneur, every problem is a good news and opportunity. Speaking about commercial enterprises means speaking about the creation, the management, the protection, and the application of intellectual capital - Nicholas Imparato. A clear vision is very important to an entrepreneur. Without a vision, an entrepreneur is confused, lost and can’t function. A vision is important to set up a team, create a solution for a menace and organize all what is needed for success. This comes to play when an entrepreneur is able to think and discover a problem in the society, strategize ways to solve it, set up a team to achieve it and then sell it to the outside world for a reward. ‘Pushing a new enterprise past all the barriers to success takes learnable skills...but it also takes a tenacious inner passion bordering on monomania. This combination is what I call leadership’ - Kye Anderson. This is the point where entrepreneurs miss it most. Though they work hard, however, they most times work alone. Their establishment hardly see the light of the day, might grow but nor to the zenith. This results when entrepreneurs are not team players or good leaders. As an entrepreneur, you are not to employ someone you are smarter than; rather, you employ someone smarter than you are. Employ people whose hearts burns more for success than yours, those you are scared of their possibility spirit, those you know are very capable even when you are not watching. This would be the magic wand and seasoning for your empire to reach an unprecedented level. Make sure you try your best to earn their trust, give them the free hand to achieve, let them be responsible for a lot of things and excuse yourself while you see your establishment soar to success. ‘Capital is the key to a successful business’. No business runs successfully without the pumping or input of reasonable capital to start it and sustain it. This was the best skill possessed by Steve Jobs. He knows how to convince investors so they can drop something for his business ideas. While Steve Wozniak did most of the designs when Apple started, SteveJobs knew just how to market the products. He knew the right button to press, the best words to say at the right moment to convince investors. This brought about the success of Apple in a very short time as possible. Outside capital in a business, it takes longer than normal to flourish. Capital serves as the lubricating oil of a company and makes things go smoothly in record time. Though organic growth is normal, however, capital is a very good method to stimulate or induce growth in a company. 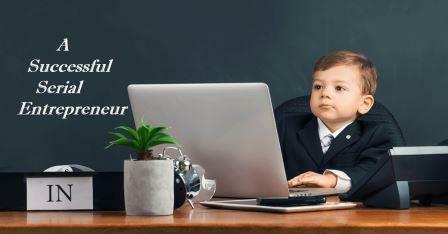 ‘An entrepreneur, if there is such a thing, is a born schemer and thinker up of things’- Alan Sugar. One of the rigorous requirements of entrepreneurship is flexibility and ability to change with time. Change is the only constant thing in life. Anything can happen and what used to sell might not sell again. Yahoo was the most used search engine at a time before Google overtook it. Since then, Google remained relevant in the industry by keeping themselves up-to-date and also releasing new features. They introduced their feature into android since they know that is what the common man can afford and must use. Few of the most used applications include Youtube and Play Store. Despite the traffic on these platforms, Google keeps updating it and adding new things just to remain in the market. Similarly, if you don’t want to be relegated in the industry, you must be flexible. If your business was formerly on analog, then you have to go digital. Inability to adapt to your changing environment will make you useless and push you out of the market. Sustainability is the key to every establishment. There is no need to start what you can’t finish. If you don’t believe in it, don’t go for it. Start what you can finish and what you believe in. Even when it is not working, you continue to do it. Everything is always impossible before it works. That is what entrepreneurs are all about—doing what people have told them is impossible - Hunt Greene. Always delegate responsibilities in your business; don’t try to do it all alone. Look for people you trust or still, believe and trust the people working with you. Get people with similar dreams and put round pegs in round holes. While others are on the field working for you, use that time to monitor the market and the trend, develop new ideas that are implementable and sustainable. This might cost you a lot of money, you might spend a lot of your profits on settling salaries, however, with wisdom, this is what you must do to overcome the industry and become a stronghold. It is a sacrifice, make it and see your empire boom. Remember to share this and also make a comment so others can learn. I am a Marine Geoscientist, Environmentalist, Writer, Teacher, Public Analyst and Researcher. I am a Marine Geoscientist, Environmentalist, Writer, Researcher and Analyst. It is my wish we have less feeble men and more active beings. They are only better than you because you did nothing about it. Crafted with by Obcee | Template by TemplatesYard © AbleLincoln 2018 - 2019, All Rights Reserved.